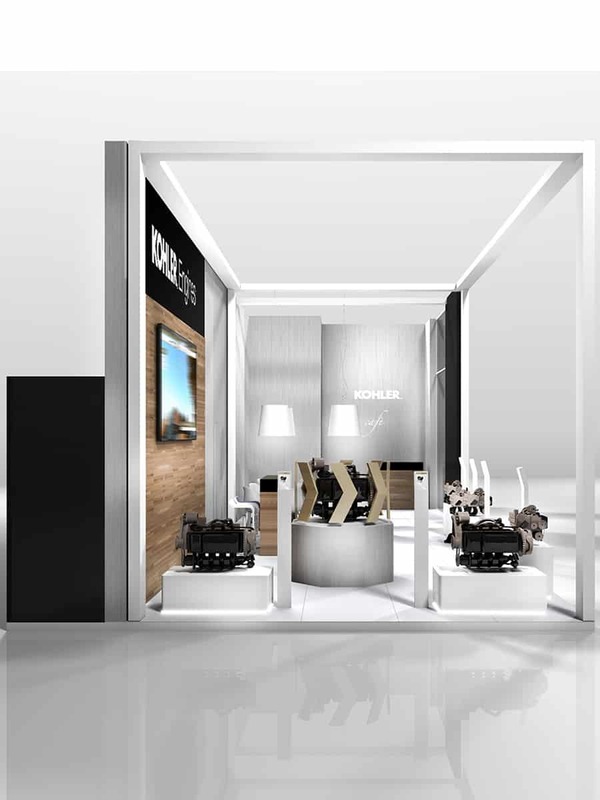 “The Light Box” is a Trade Show Stand Concept. 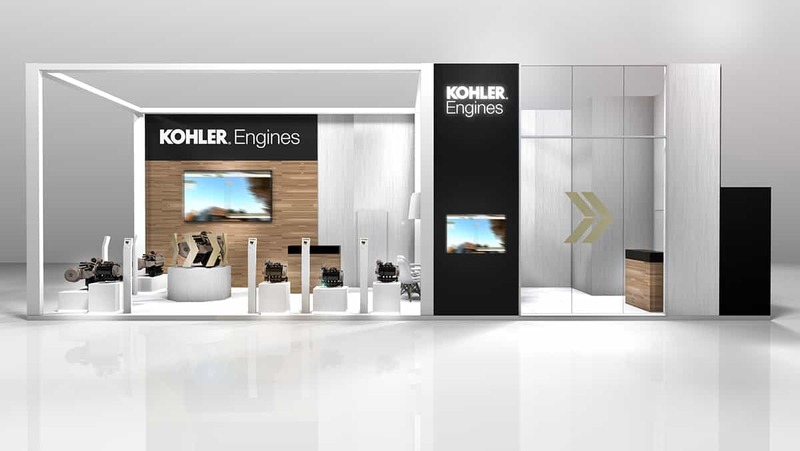 It was designed and created for KOHLER ENGINES for various Exhibitions between 2015 and 2017. 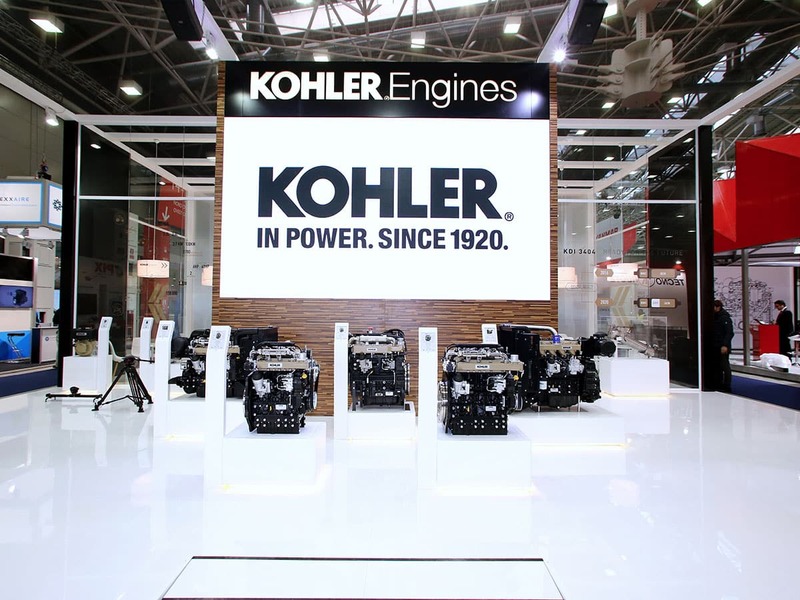 90 years ago Kohler began manufacturing engines and has continually enhanced its product lineup in an effort to help make life easier and more profitable for end users around the globe. 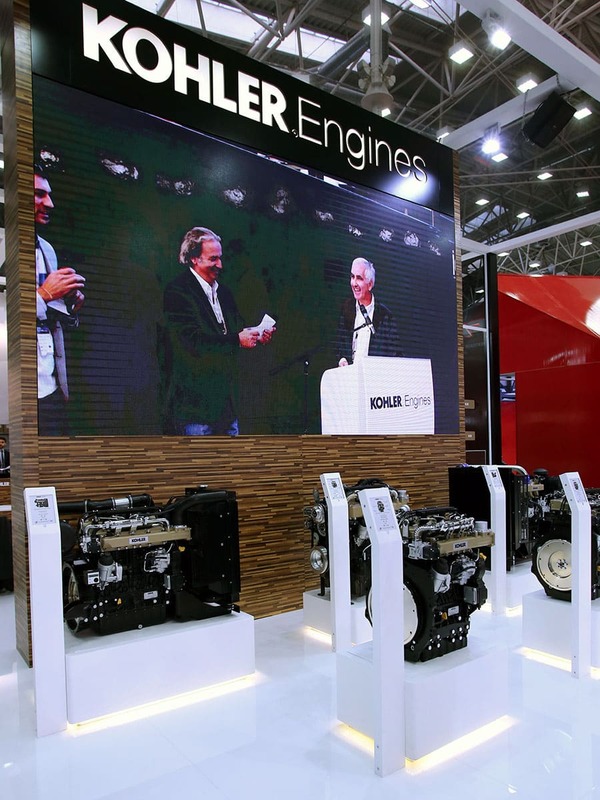 Today, the company offers a full array of diesel, gasoline and gaseous-fueled engines, which are supplied to equipment manufacturers worldwide in the construction, agricultural, industrial and lawn and garden markets. 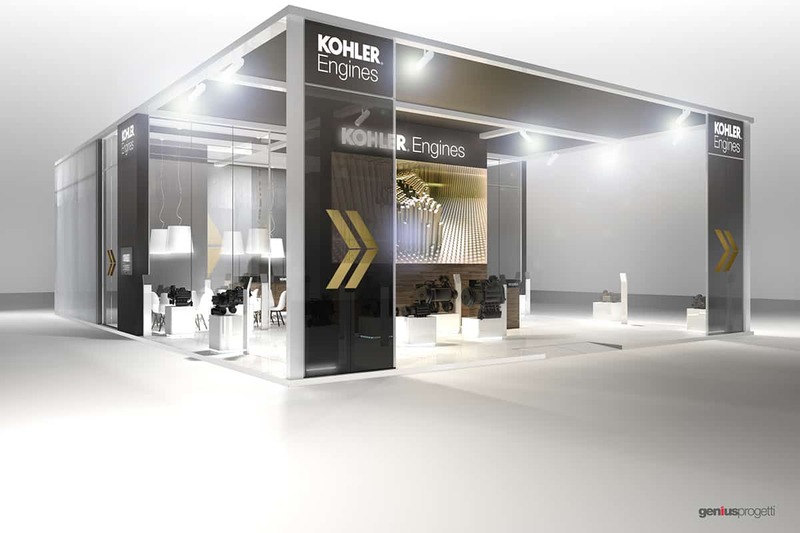 KOHLER Engines has branches all around the world with 4 Regional Headquarters (KOHLER – USA, Reggio Emilia – Italy, Shanghai – China, and Aurangabad – India), 7 production sites, 5 sales offices and over 1700 service points around the world. 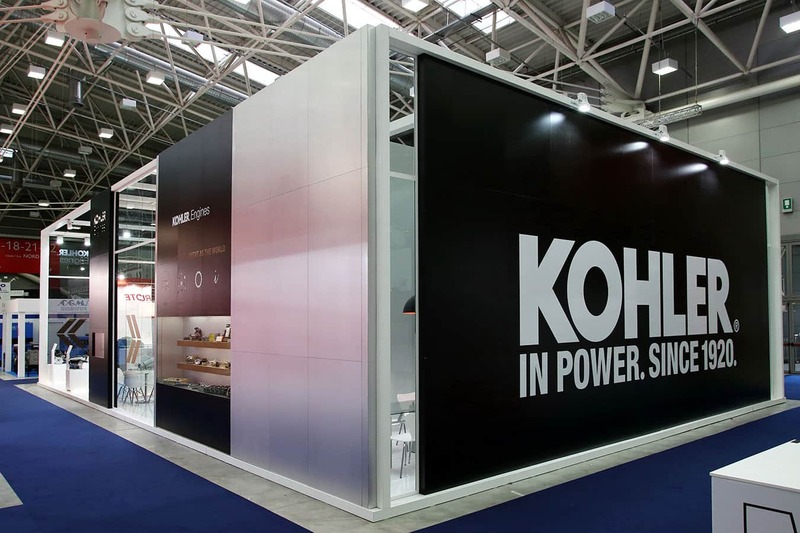 This luminous design was presented in 2015 to reflect a new era for Kohler as it fully completed its transition from the 2007 takeover of Lombardini. 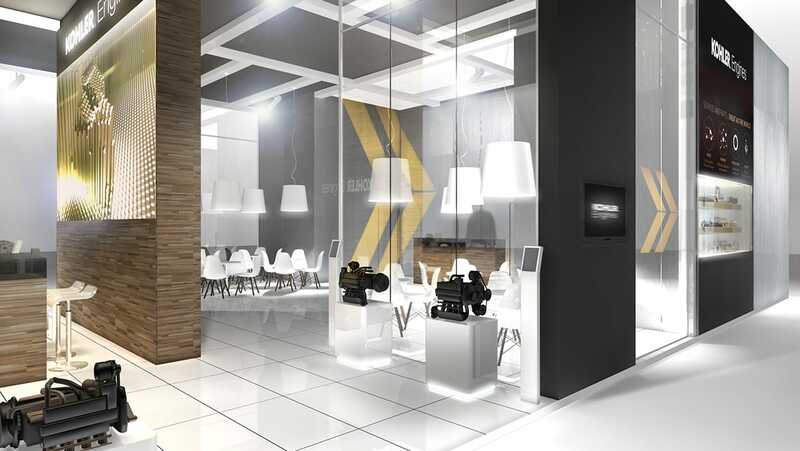 A modern, clean and functional environment welcomes guests with a Cafè, meeting areas, LED wall and bright, back-lit display areas. 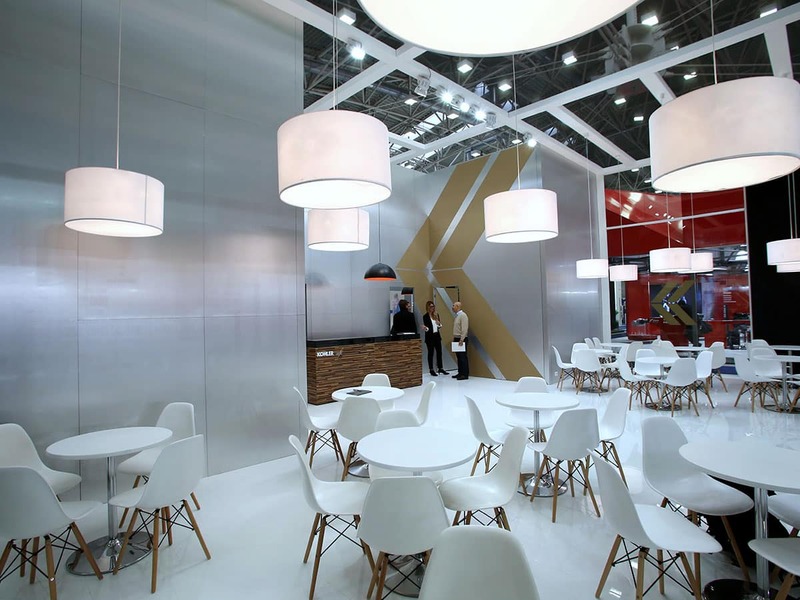 THE LIGHT BOX Trade Fair stand concept was developed as a completely adaptable space to accomodate various footprints for international trade shows. 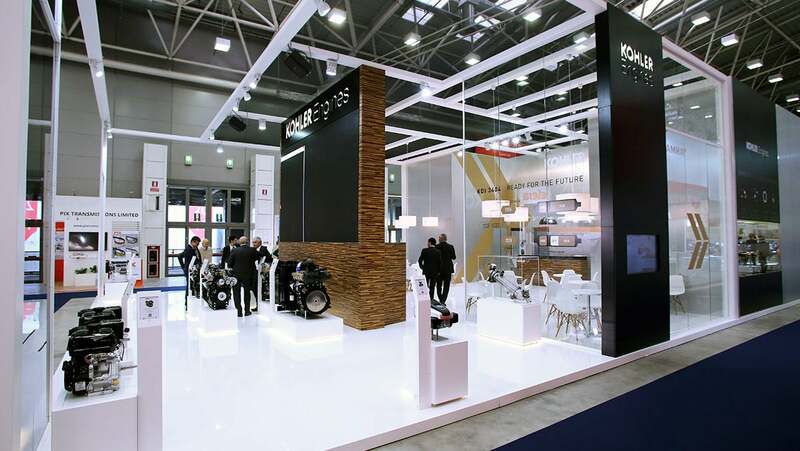 Genius Progetti adapted The Light Box exhibition stand to the specifications for multiple trade fiars over a two year period. 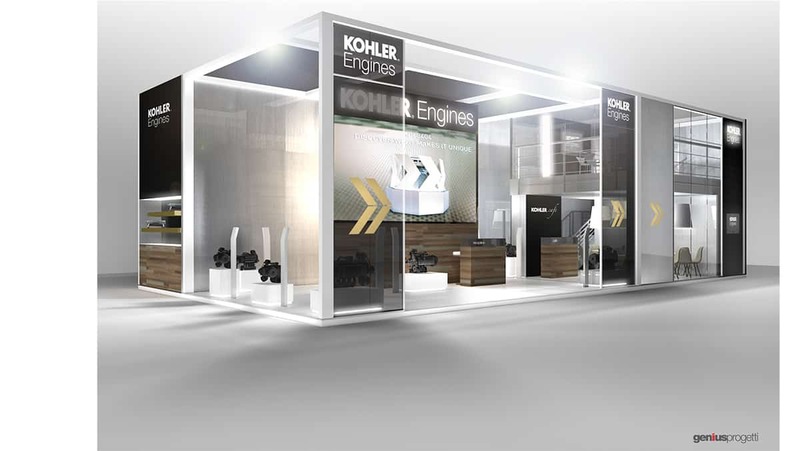 Kohler Engines is a prominent player in the industry and this stand hosted tens of thousands of visitors in its many manifestations. 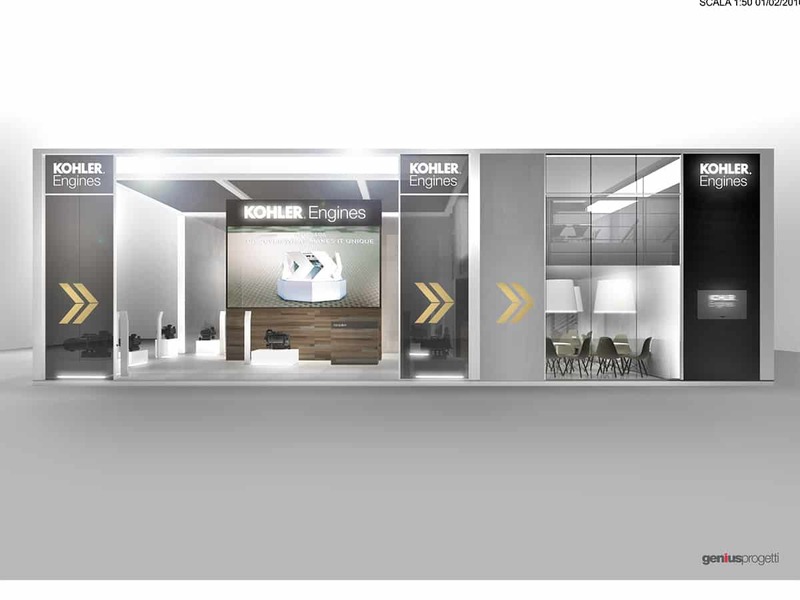 Discover more about the trade fairs and the adaptations of the concept below. 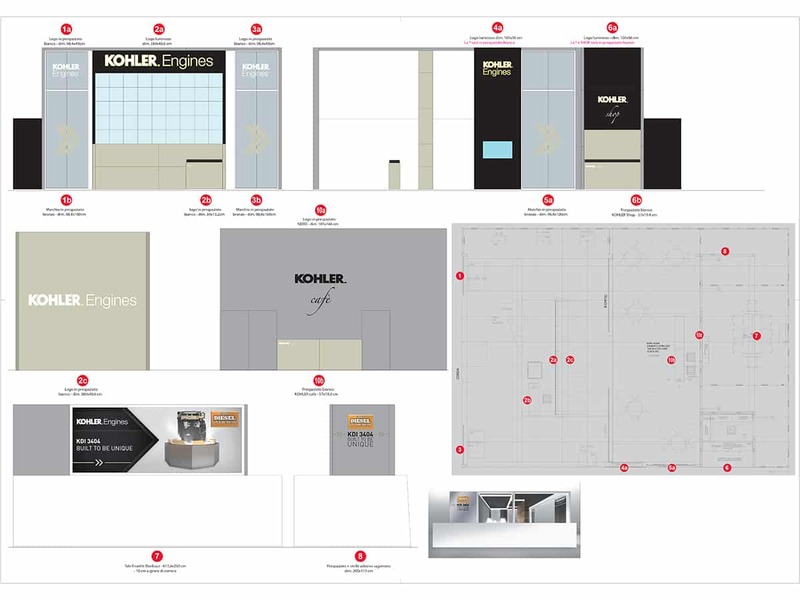 To see the current concept that was developed for Kohler visit our blog post. 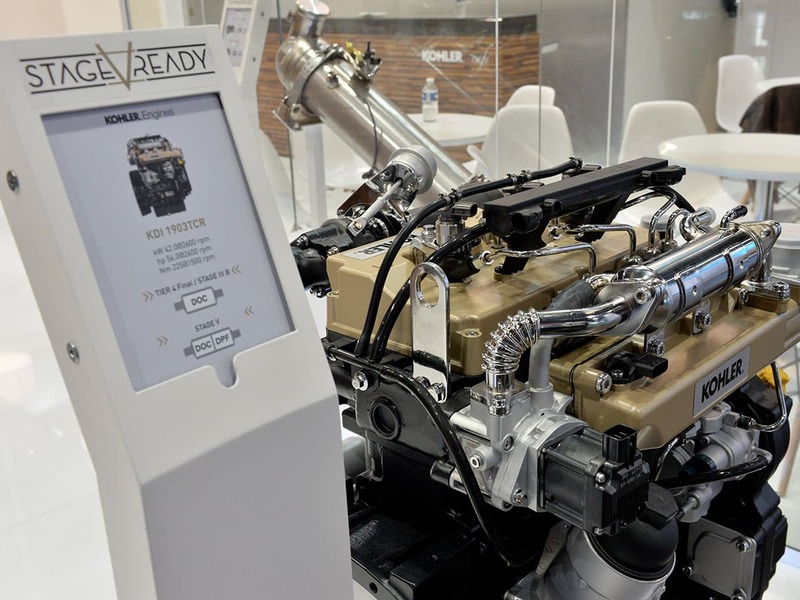 Held in Paris, France at the Paris Nord Villepinte, the INTERMAT trade show welcomes 173,000 guests from all over the world and hosts 1,400 exhibitors. 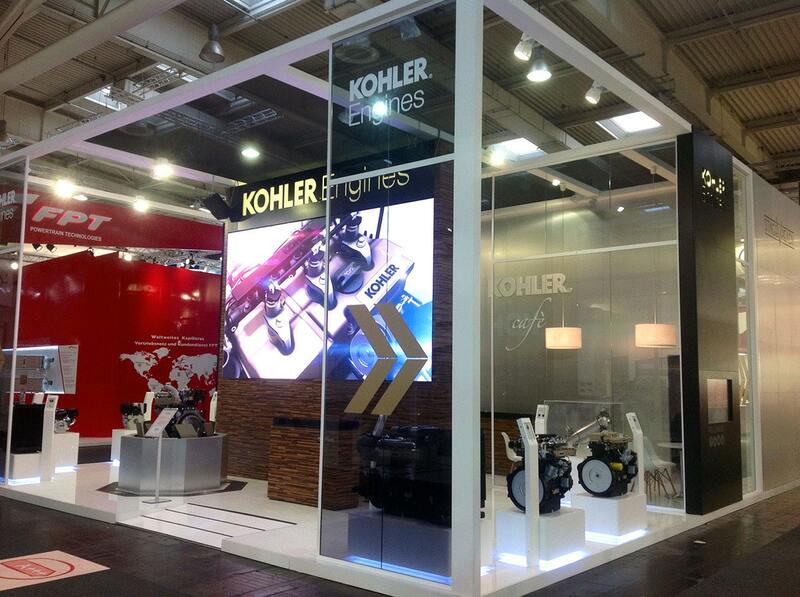 Since 1969 EIMA has been one of the leading trade fairs for the agricultural machinery industry. 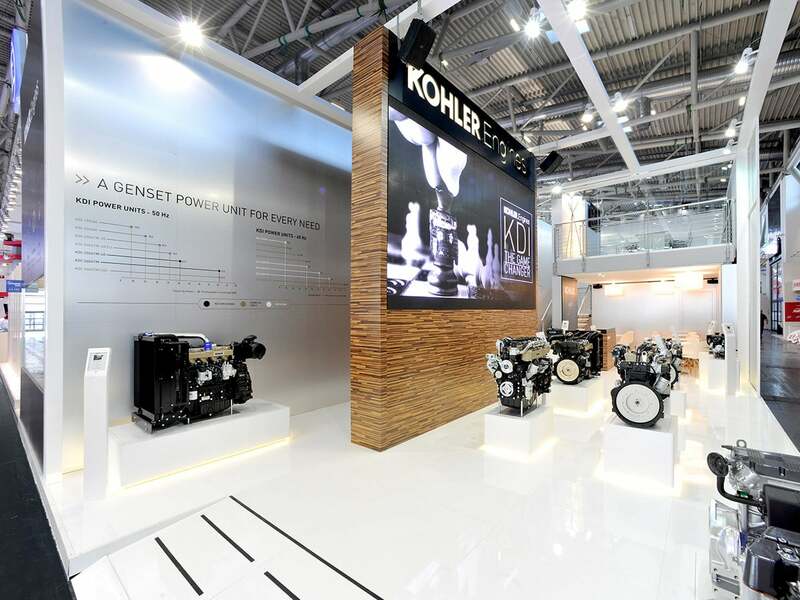 It now welcomes 1,900 exhibitors from 40 countries in 375,000 square metres of space. 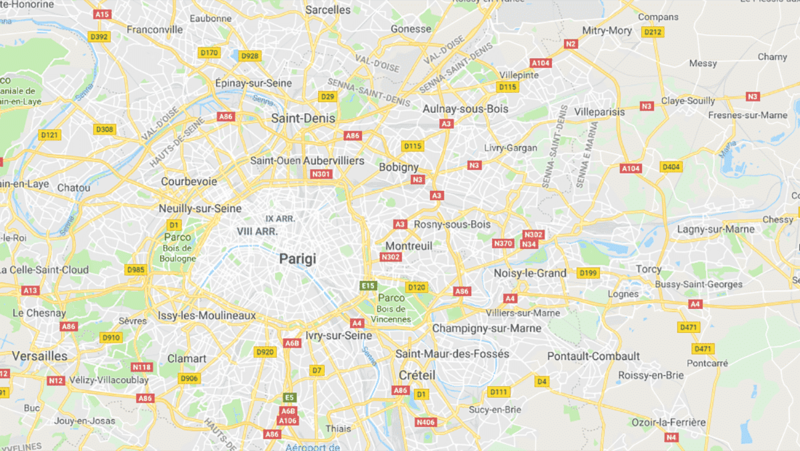 Also held at the Paris Nord Villepinte, the bi-annual SIMA International Agribusiness trade show welcomes 1,770 exhibitors and 232,000 visitors. 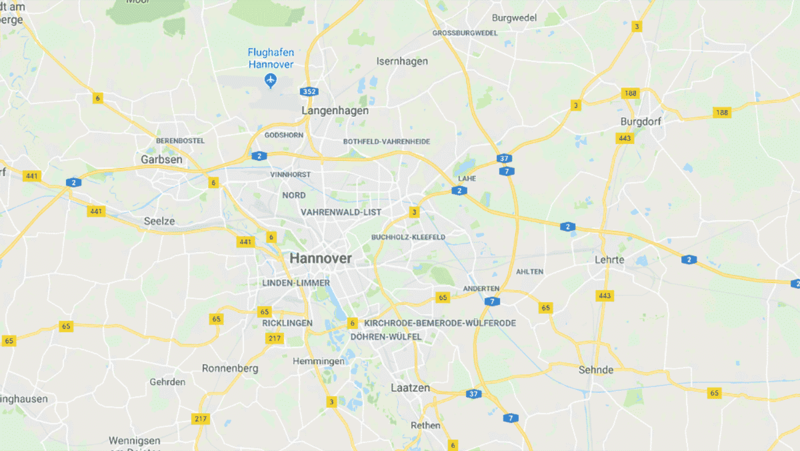 This bi-annual fair began in 1985 and is held in Hannover, Germany. 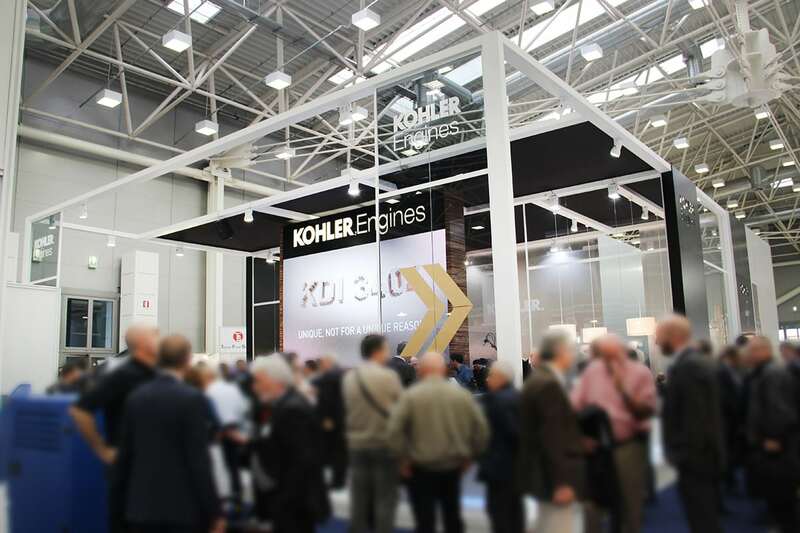 It welcomes 2,802 exhibitors from 52 countries and 458,000 visitors from 130 countries. 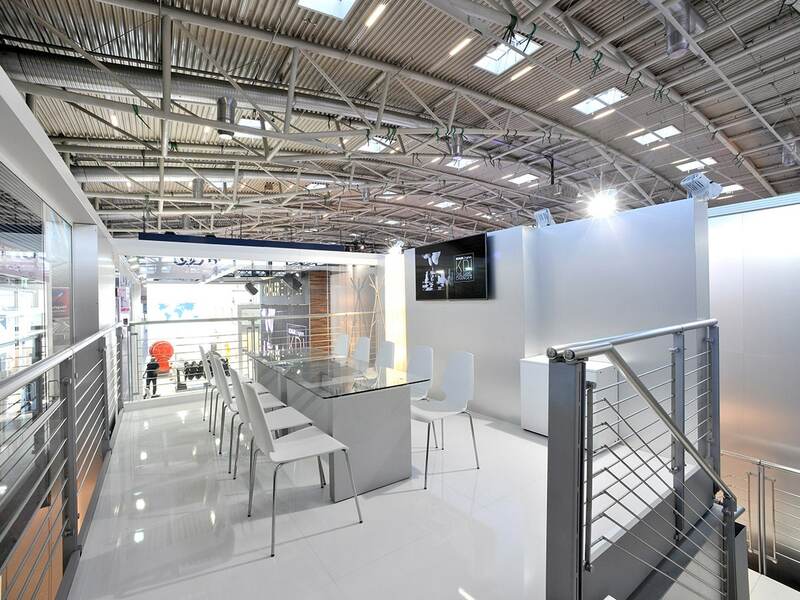 Bauma is the World’s largest trade fair, with 605,000 m² of exhibition space, 3,425 exhibitors from 58 countries, 583,736 visitors from 219 countries and 1,423 journalists and media representatives visiting the fair each year. 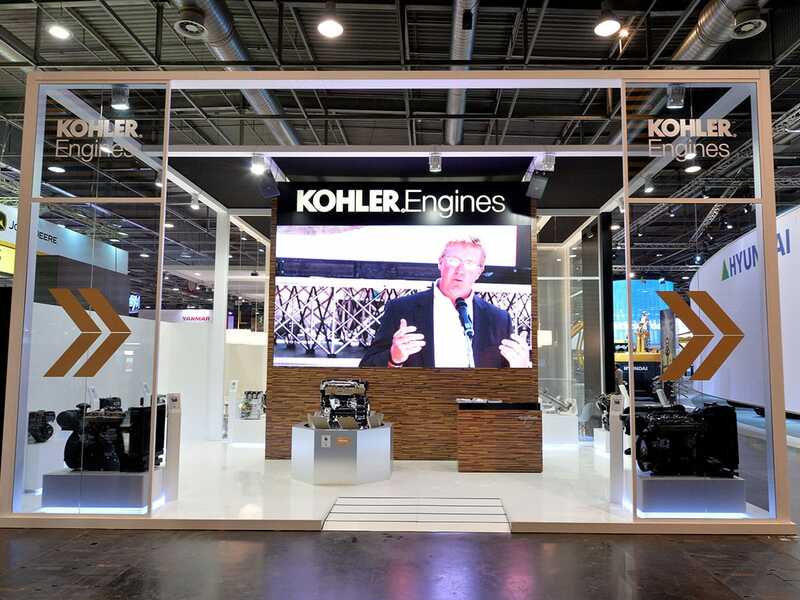 Modifications: The INTERMAT adaptation of ‘The Light Box’ KOHLER ENGINES stand was adapted to accomodate a reduced footprint . 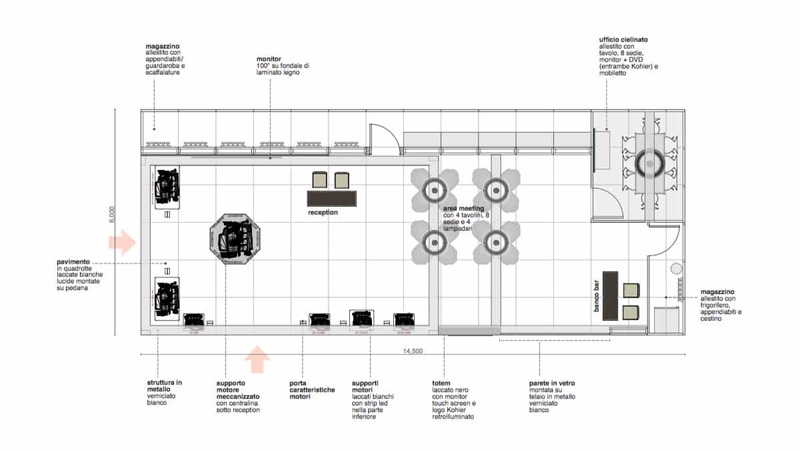 The compact layout maintained all functional areas from the original concept without compromosing the overall look and feel of the design. 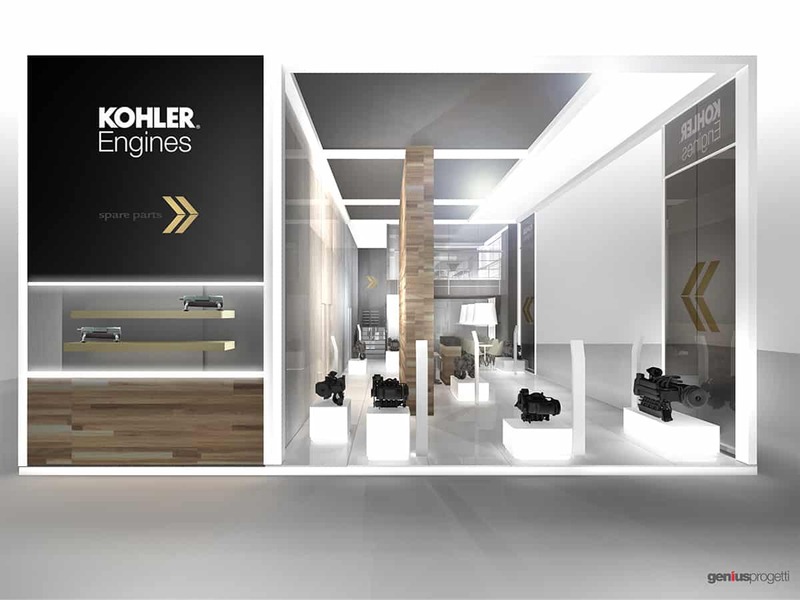 Modifications: The original design and concept of The Light Box for KOHLER Engines was created for the EIMA International Exhibition. 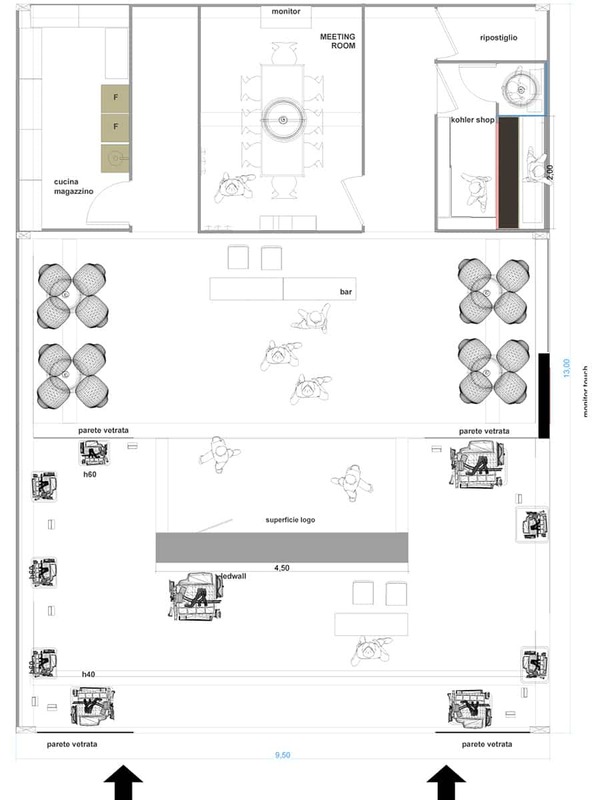 Being the original version, here you’ll see the correct proportions including 12 meeting tables, large office spaces, spacious product display areas that were well separated from both the technical and utility areas. 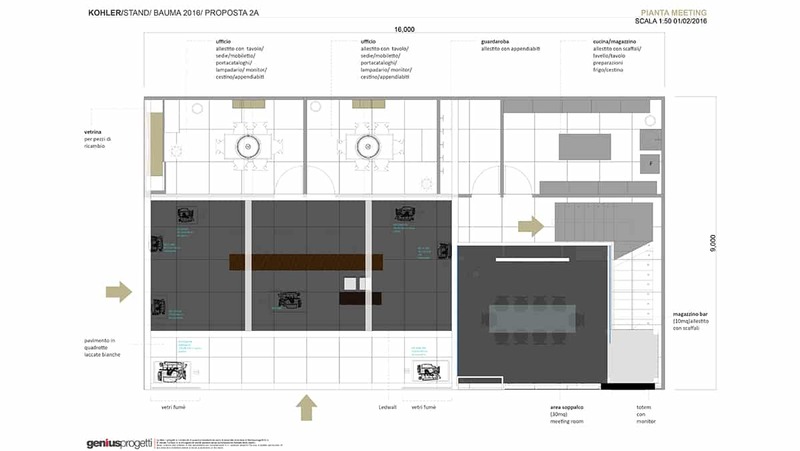 The original layout also featured a private enclose meeting area and cafè waiting area. 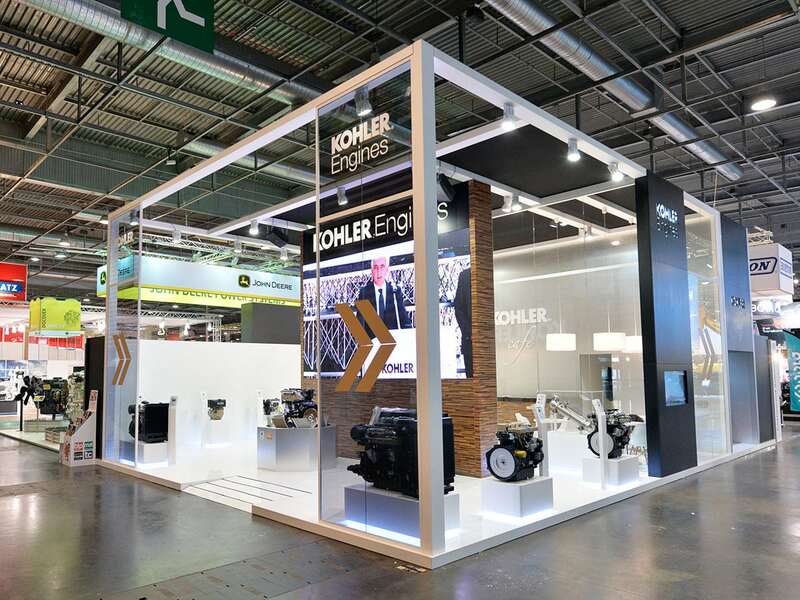 Modifications: The Agritechnica adaptation of ‘The Light Box’ KOHLER ENGINES stand was similar to the original project developed for EIMA with a slightly reduced footprint. The division of the areas maintained the same proportions. 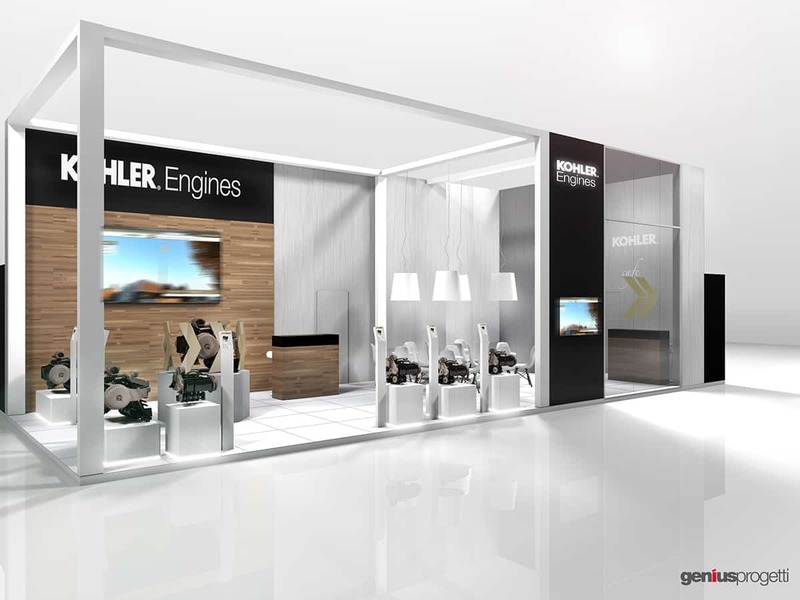 Modifications: The smallest adaptation of The Light Box concept, created for the SIMA Agribusiness Show in Paris this version featured all functional areas of the original design in a compact yet spacious layout. 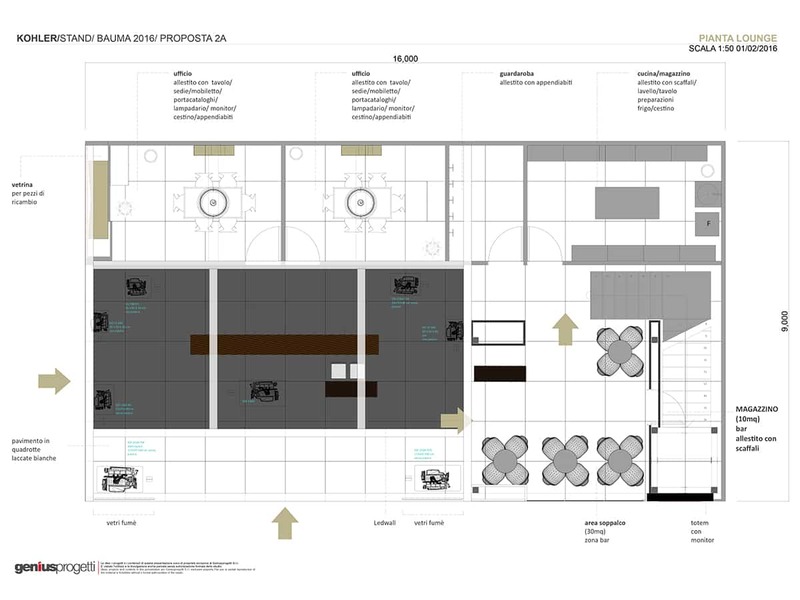 Foot print: 144 sq metres on first floor + 30 sq metres on the elevated level. 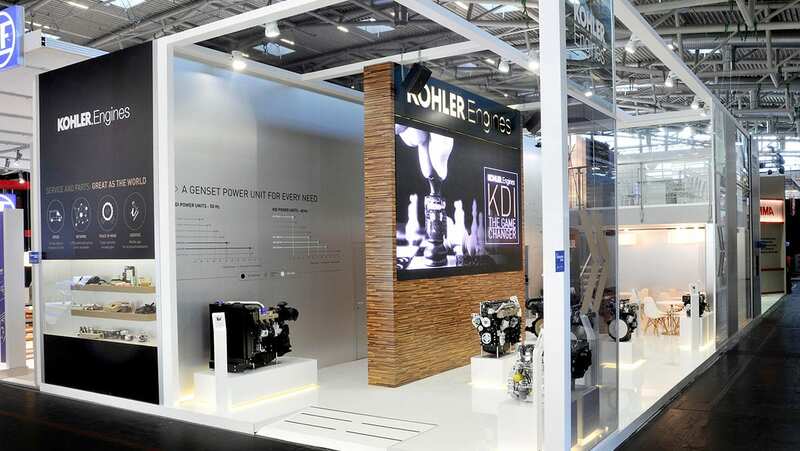 Modifications: The BAUMA adaptation of ‘The Light Box’ KOHLER ENGINES stand resolved a request from the client to have more working and meeting space due to the fact that this fair is the most visited. 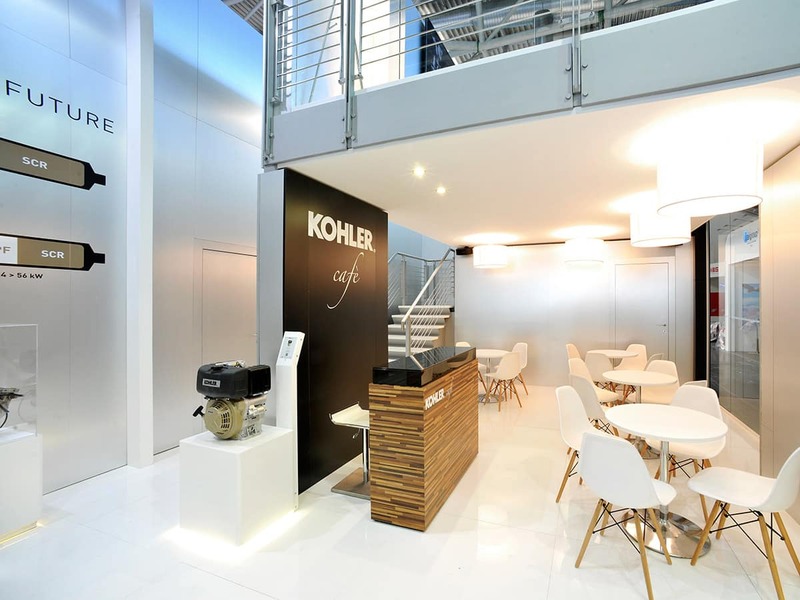 Thanks to an elevated ceiling we able to create a private meeting room on the second storey and a storage space under the stairs. 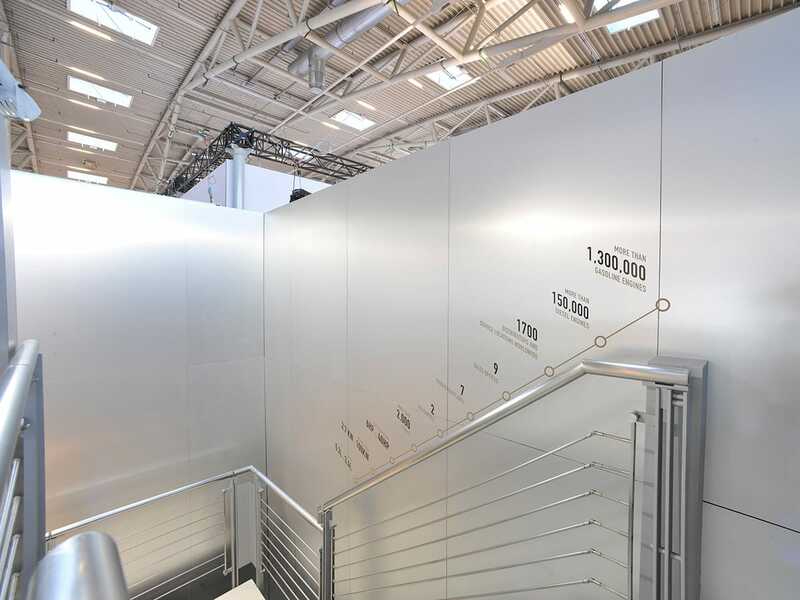 The stairway was also outfitted with a company timeline on brushed steel panels, while the first floor housed the product and technical displays and a cafè. 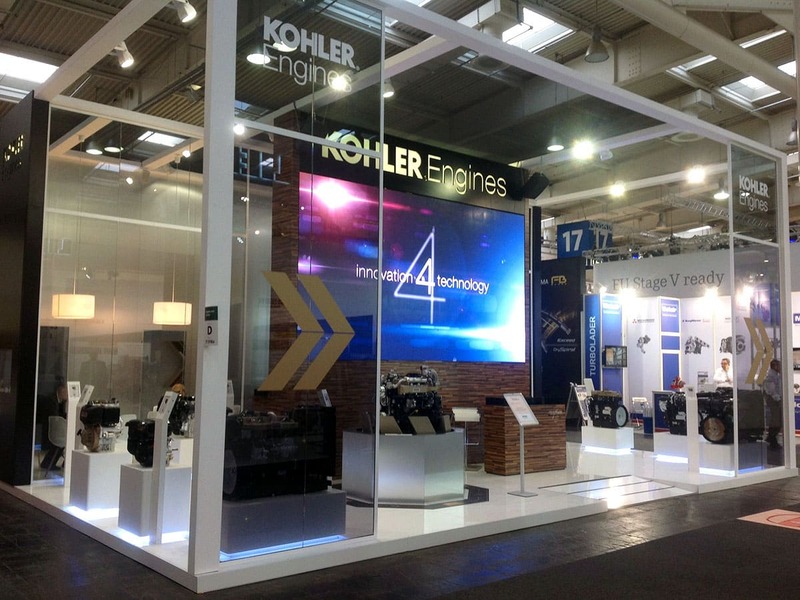 The Kohler Engines THE LIGHT BOX Concept was expanded for the BAUMA International Trade Show to allow for an increased footprint. 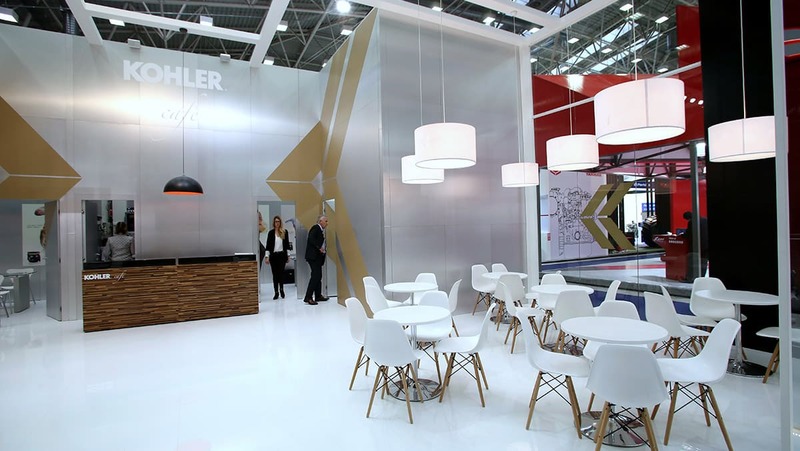 The design was structed to allow for a second storey meeting area which increased the stand’s footprint by 30%. 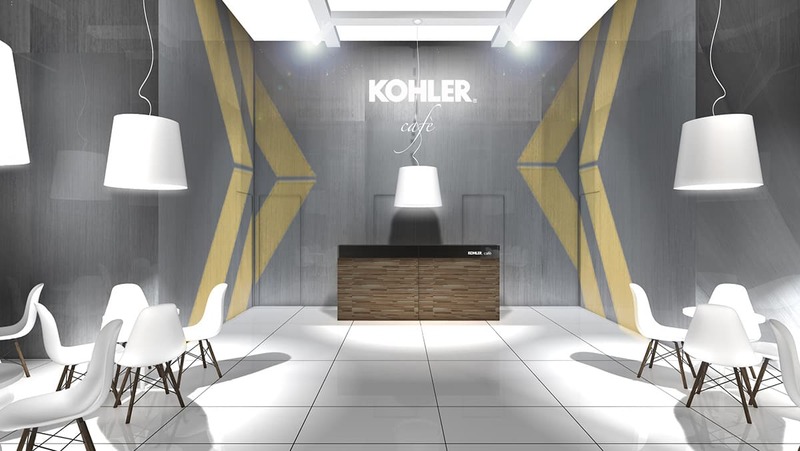 Guests were greeted on the first level with the KOHLER Cafè, and waiting area to manage the amount of traffic the KOHLER stand receives daily. 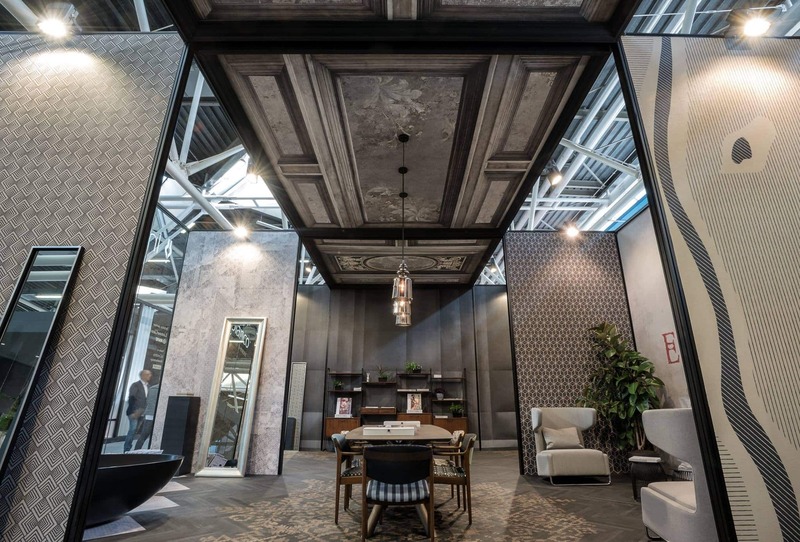 The design integrates classic oak laminated wood, bushed steel, white and black laquered walls and glass accents. 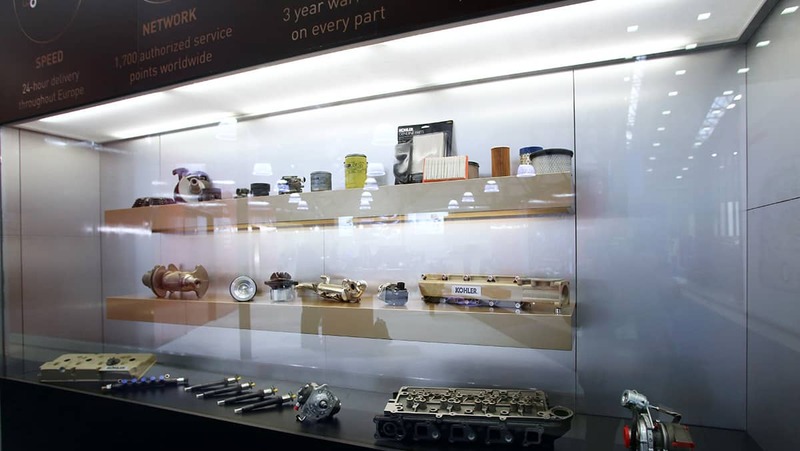 The plan was structured to include meeting areas, a LED wall with product display videos, different display pedestals and display cases (with a multitude of lighting options) and integrated sound system. 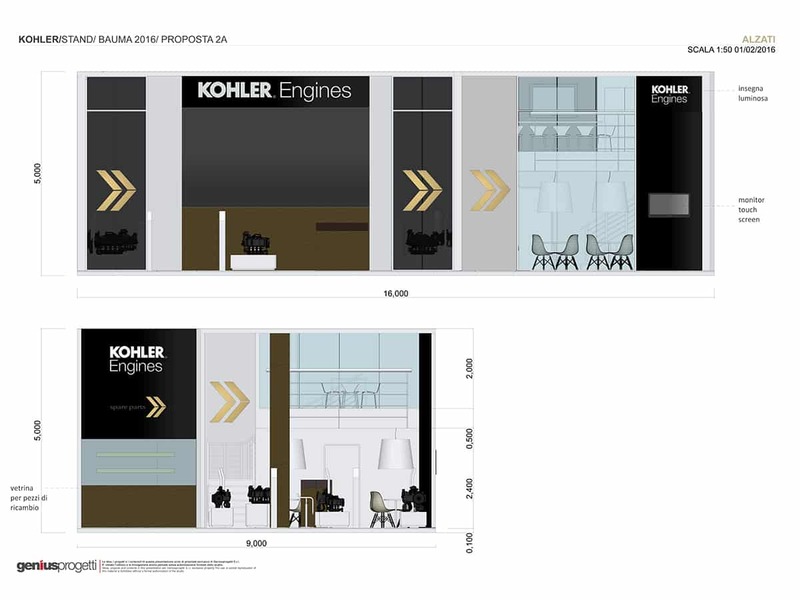 A two storey concept allowed for an increased footprint, welcoming clients in the lower level cafè or upper level meeting area.